"It says a great deal that, around the same time as her second LP, Hardy started recorded versions of her songs in Italian, German and English to better cater to her international audience. 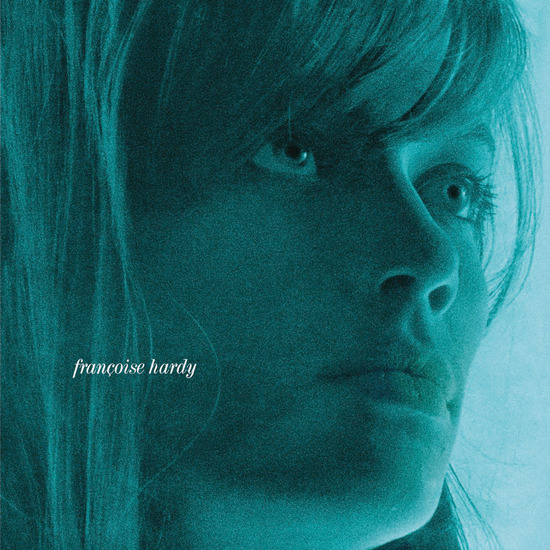 Hardy stuck to that template for her following three albums, but the key difference with 1965’s L’amitie and 1966’s La maison où j’ai grande was her (or her record company’s) decision to record them both in the U.K. She was already a star in England thanks to her English-language recording of “All Over The World,” which stayed in the charts there for 15 weeks, so the doors were wide open for her arrival. For her first British-recorded album, she worked with Charles Blackwell, a writer/arranger who helped craft the genius that is “What’s New, Pussycat?” and hits by Englebert Humperdinck and Shirley Bassey. He does similarly brilliant work on L’amitie, adding some Motown/Spector flair to “Non ce n’est pas un rêve” (a track he had already written and produced to great success for Samantha Jones), takes some pages from playbook of his mentor Joe Meek with the guitar rumble of “Je t’aime” and “Dis lui non,” and one-ups the sultry soundtrack work of John Barry on the instantly catchy “Le temps des souvenirs.” Hardy responds in kind with some of her best vocal work to date, sounding at once more direct and distant on the uptempo numbers, and becoming almost ethereal during the ballads. If there’s any one album to grab of these five reissues, this would be it.